As the Norman invaders sweep across the English countryside in the year A. D. 1067, one dark Norman takes possession of the Castle Fenlac and all its inhabitants. One of those among the conquered fears the the handsome invader who has entered her life, but Brianna's fears come more from the attraction she feels for Garek than concern over his dominion. She finds herself interceding for his life, and soon Garek must return the favor, binding them closer than either can comprehend. Surrounded by darkness, Garek himself is drawn to the strange English woman who seems to hold within her the Light he has been searching for. Sworn to serve his king, can Garek free himself of his past and find a love greater than he has ever known? DARLENE MINDRUP is a full-time homemaker and home-school teacher. Once a 'radical feminist,' she fanned her independent streak in the army, then turned into a 'radical Christian' after a heart changing encounter with the Lord. Darlene lives in Arizona with her husband and two children. She believes 'romance is for everyone, not just the young and beautiful.' She has a passion for historical research, which is obvious in her detailed historical novels about places time seems to have forgotten. 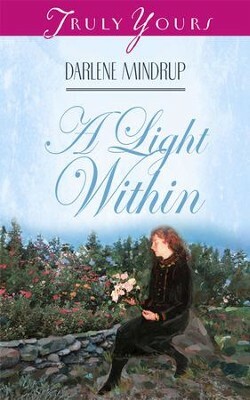 I'm the author/artist and I want to review A Light Within - eBook.